Google has today updated the YouTube app for iOS with support for the iPhone 5’s display, as well as the ability to stream videos over AirPlay to the Apple TV or other enabled devices more easily. The new app now also has full support for the iPad, with an interface that is specifically designed for Apple’s tablet. 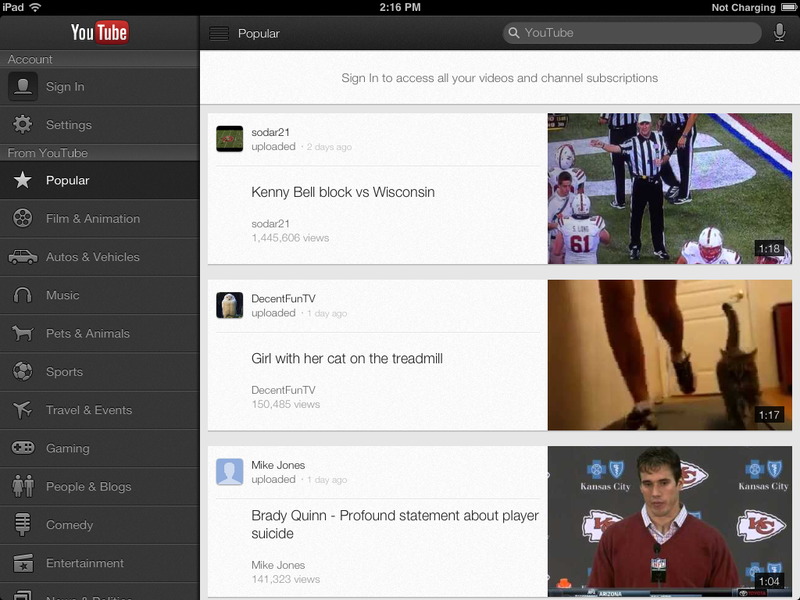 Now the YouTube app will get ‘enhanced’ AirPlay support, letting you shoot your videos over to your Apple TV. Videos are also said to start faster and play more smoothly. Google has also improved VoiceOver support for those with visual impairments. The new iPad interface is nice, but nothing insanely cool. It features a collapsible sidebar that can float over the top of the video you’re watching and a channel browser accessible via the YouTube logo. It’s solid, but not mind-blowing. 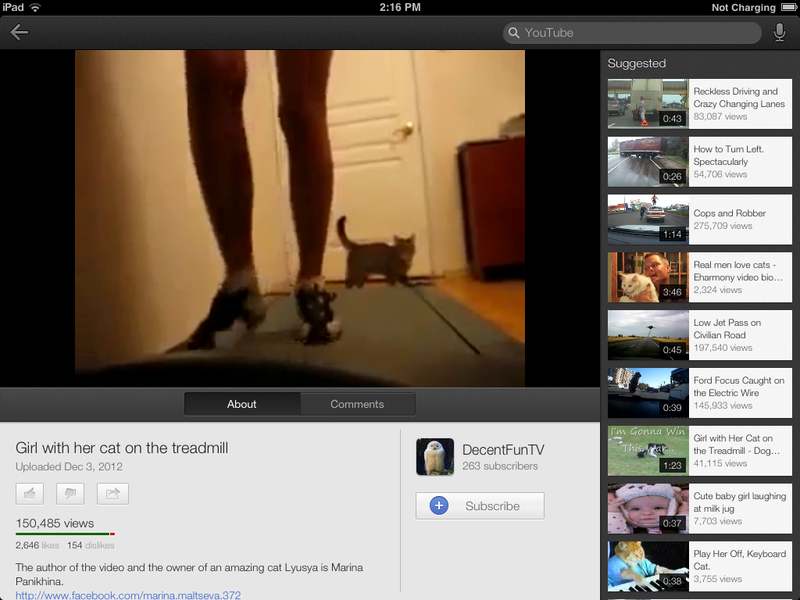 In fact, there’s a ton of wasted space in the main view and only three videos are visible by default on the main screen. Still, the iconography is crisp and there doesn’t seem to be any major issues with it on our first run-through. When the standalone app was released back in September, it didn’t have a bespoke iPad interface, but Google said it was coming. The app’s release came around a month after it was announced that Apple would be removing the YouTube app from its springboard come the release of iOS 6. Since then, YouTube has done well for itself, topping Apple’s charts of free apps in the App Store for 4 months in a row. The app also now serves up ads for Google, which is likely one of the primary reasons it wasn’t so sad to be ditched from iOS home screens, where it was unable to do so.